As you consider your resolutions for the New Year, stop a moment and reflect on your intention. What’s the one word that crystallizes your intent for 2018? So, how do you set your intention and then what do you do with it? First, even before you consider what you want to do, have or be in the New Year, decide how you want to feel. Is there a challenge you want to overcome or goal you want to achieve that will require a specific attitude or mindset? You may also find that some of your goals will change when you set your intention. Next, craft an affirmation that gives your intention power. It could be as simple as, “I am …” or “Today, I choose to be …” Write it down and post it where you will see it every day. On your bathroom mirror, the dashboard of your car or by your computer screen. Make it the screenshot on your phone. You will naturally make more conscious choices that align with your intention. 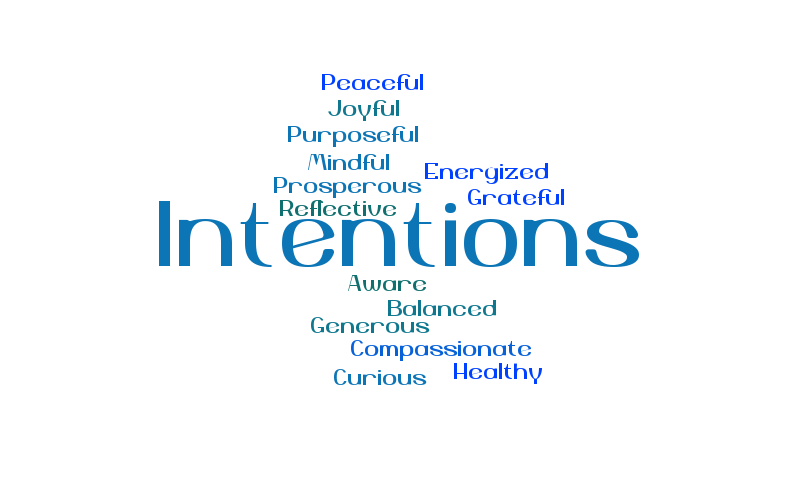 I’d love for you to share your one-word intention below. Here’s to an intentional, sensational New Year! Need more inspiration? Right now, you can download here my Working with Wisdom ebook and audio book package for just $9.95! You’ll learn 10 powerful strategies to help you live your best life, intentionally. In 2018 I intend to be more grateful for all that I have and all that is coming my way. Willing is such an empowering word, Lauren. Best wishes with all you are willing to be, do, have and feel!